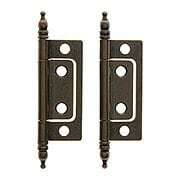 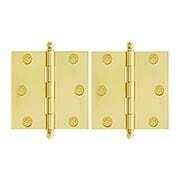 Pair of Premium Solid Brass Cabinet Hinges - 3" x 2"
These Premium Ball-Tip Cabinet Hinges (3-Inch x 2-Inch) are finely crafted from high-strength extruded brass and machined to the closest tolerances. 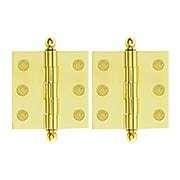 They are polished to a mirror shine before being carefully finished by hand. 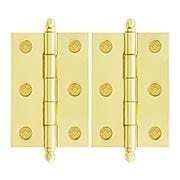 Pair of Premium Solid Brass Cabinet Hinges - 3" x 2 1/2"
These Premium Ball-Tip Cabinet Hinges (3-Inch x 2 1/2-Inch) are finely crafted from high-strength extruded brass and machined to the closest tolerances. 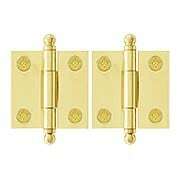 They are polished to a mirror shine before being carefully finished by hand. 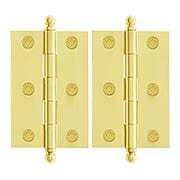 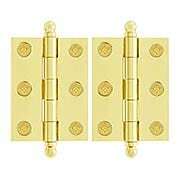 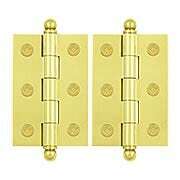 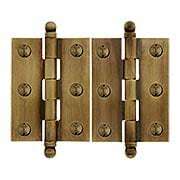 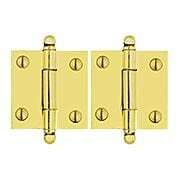 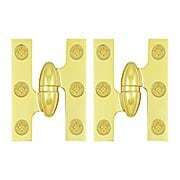 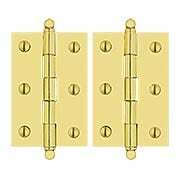 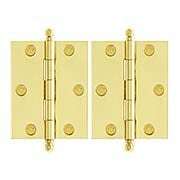 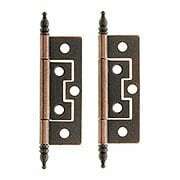 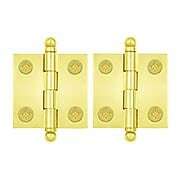 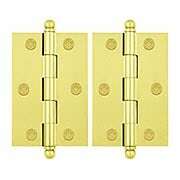 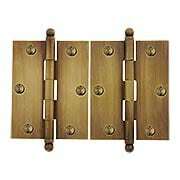 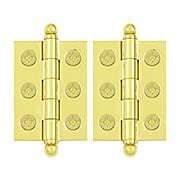 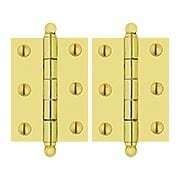 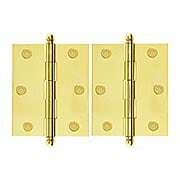 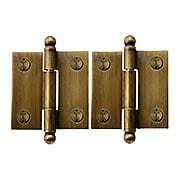 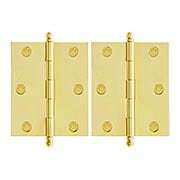 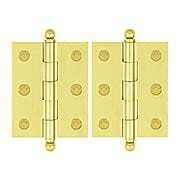 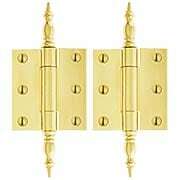 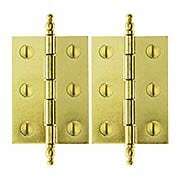 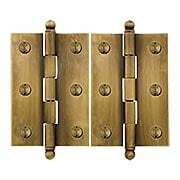 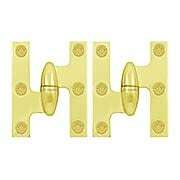 Pair of Premium Solid-Brass Cabinet Hinges with Ball Tips - 3" x 2 1/2"
These Premium Cabinet Hinges with Ball Tips (3-Inch x 2 1/2-Inch) are finely crafted from high-strength extruded brass and machined to the closest tolerances. 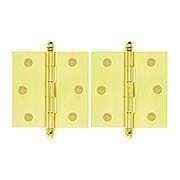 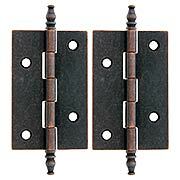 These top-quality hinges are polished to a mirror shine before being carefully finished by hand.